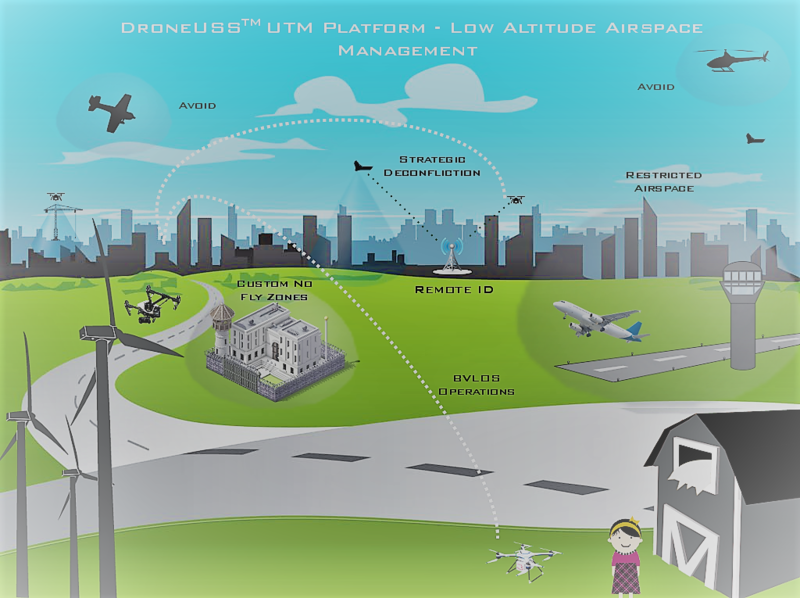 DroneUSS is a UAS Traffic Management (UTM) platform for low airspace operations. 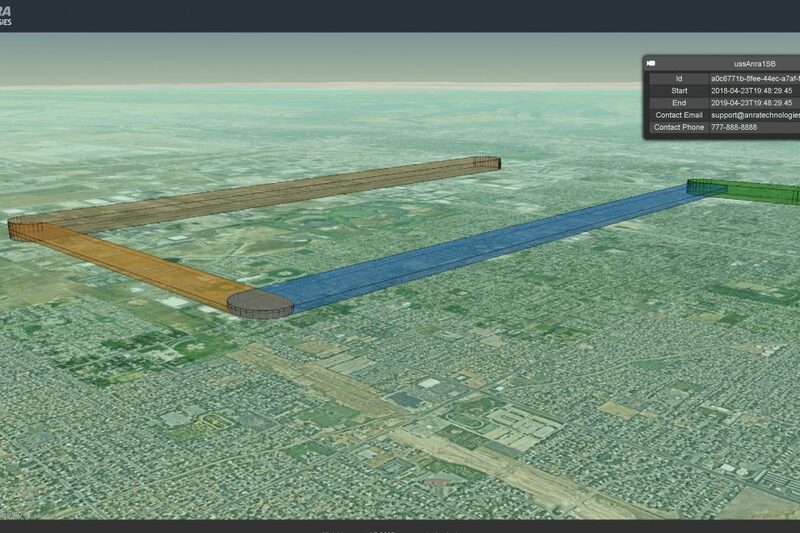 The platform support all kinds of UAS through a cloud based architecture enabling real time flight planning, airspace management, traffic management, strategic de-confliction, compliance, fleet management and supports relevant stakeholder interfaces and integrations. 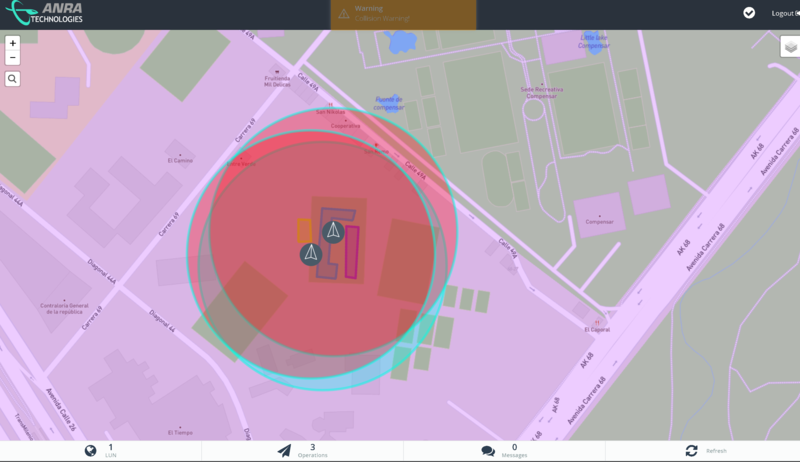 The platform performs validation checks and monitors flight operations for conformance in real time. 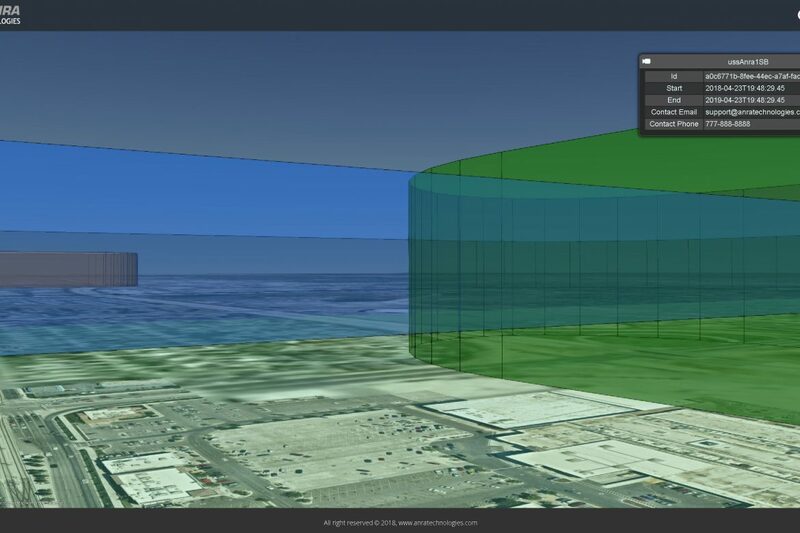 For a recreational operation, the platform checks amongst other things that it is visual line of sight (VLOS), non-commercial, and whether it is within a certain distance of an airport. Similarly, for a commercial operation, the platform checks that the operation is VLOS, in Class G and/or designated airspace, and has a remote pilot in command (RPIC) with appropriate credentials and authorizations. 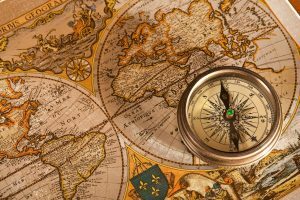 Based on the jurisdiction, the system can also under certain conditions report the current state and position of the operation to a requesting party such as another UTM Platform or Air Navigation Service Provider (ANSP). 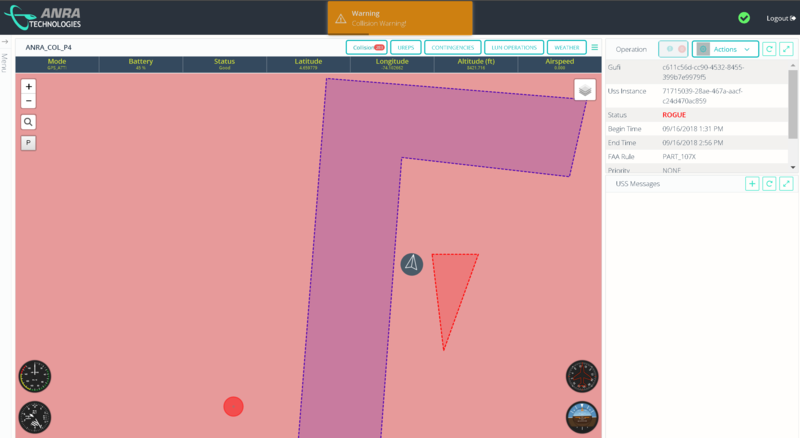 The platform enables the relevant stakeholder and ANSPs to monitor drone flights in real time. 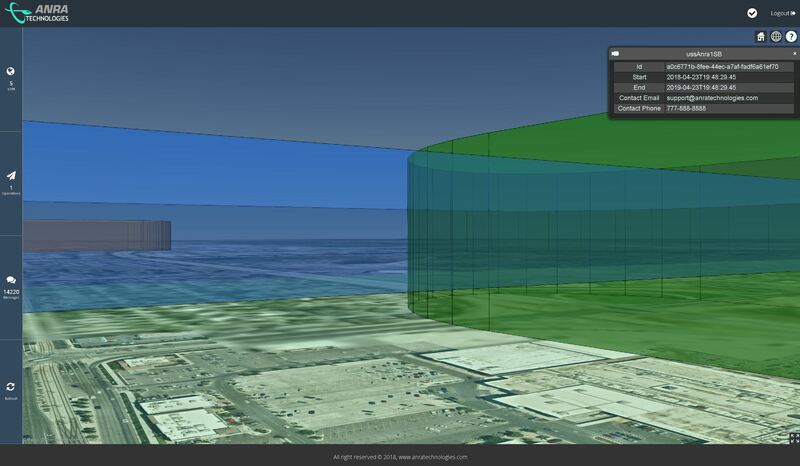 The system supports declaring custom Temporary Flight Restrictions (TFRS) and no-fly zones dynamically. The platform supports the operation from the time of an authorization announcement or notification to the ANSP and other stakeholders and this support continues until well after the operation is completed or cancelled. The platform also logs and tracks historical data for each operation. 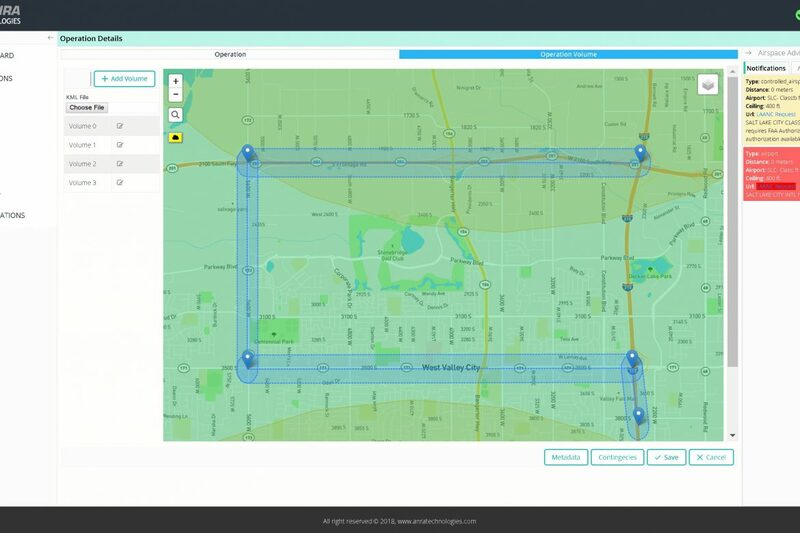 The system ensures that a UAS operator’s plan conforms to published airspace rules and regulations. This involves checking all elements of the plan and its components against an appropriately relevant Civil Aviation Authority rules. Additionally, the system protects the operator’s Personally Identifiable Information from unlawful and/or unintended disclosure. 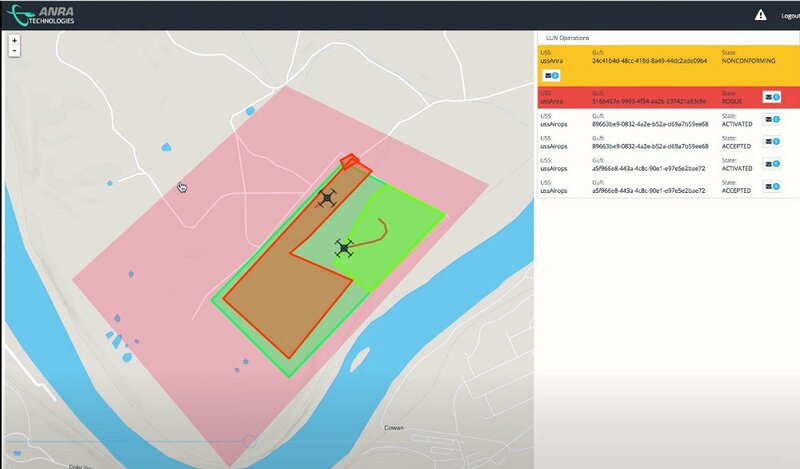 The system also supports inter UTM platform negotiation and helps operators in managing their drones and users using a full blown integrated fleet management capability. 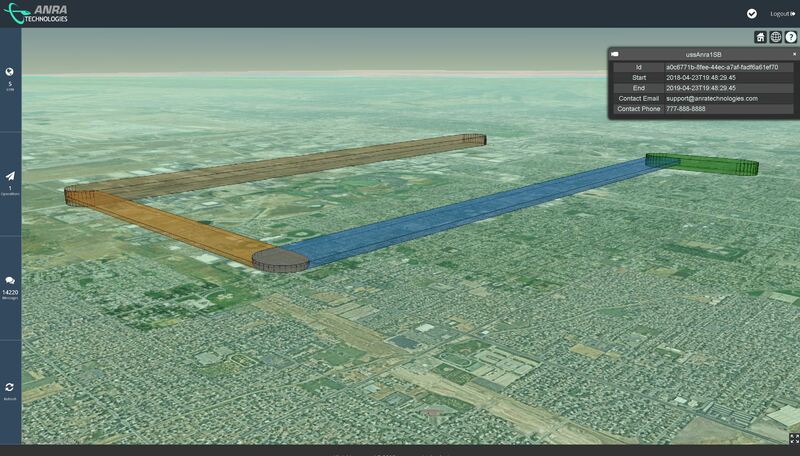 The platform supports the integration of ground and airborne sensors as well as de-confliction of both cooperative and non cooperative assets. 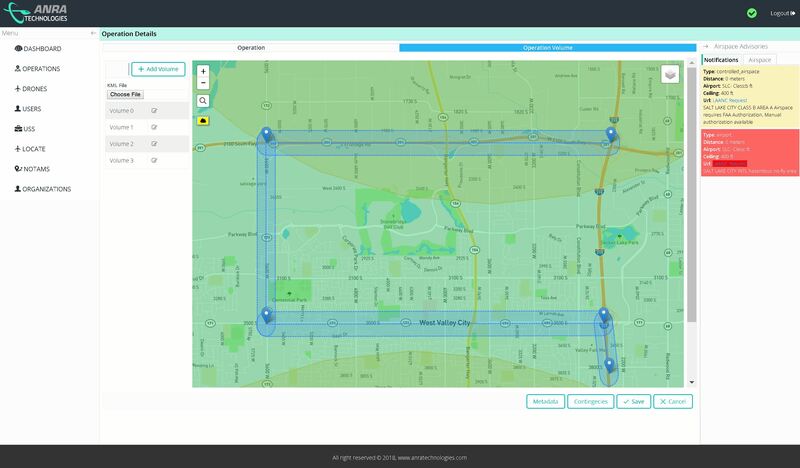 DroneUSS can be connected to existing ATM systems using a SWIM interface. It can also integrate surveillance data using the ASTERIX or any other custom format enabling a seamless integration and providing a complete operational picture. Remote ID (RID) will be a special identifier assigned to drones to uniquely identify them just like a license plate for automobiles. 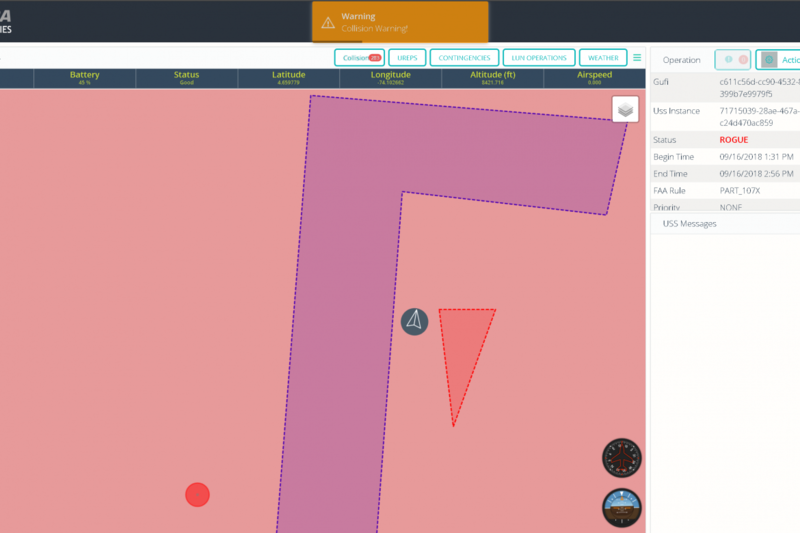 In case a law enforcement official leverages a fixed or mobile based station to detect a RID, they are able to go into the UTM Platform public portal to query and pull all the information relevant to that particular drone. Authorized Law Enforcement officials are able to pull up the operation details including contact details of the operator. 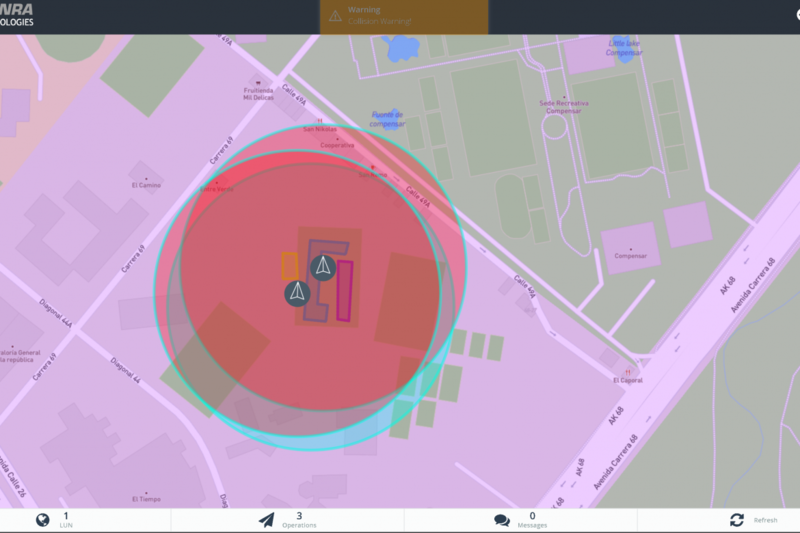 The integrated portal allows officials to declare emergency no-fly zones based on a public safety need.